Over the summer months one thing I really try and keep on top of is my skin care routine. 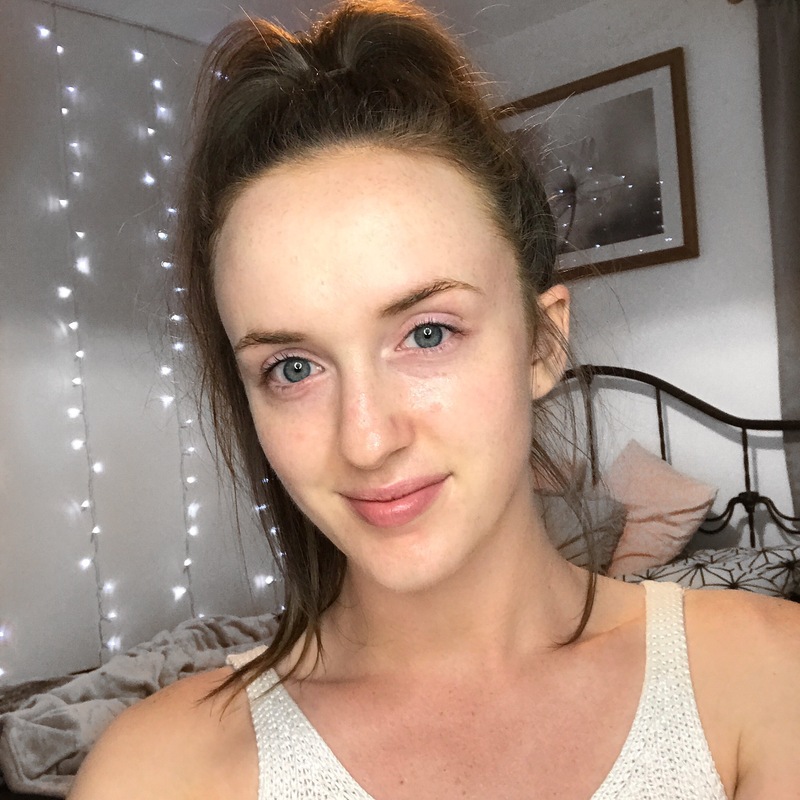 Especially when the weather is warm and humid, I always like to make sure I keep my skin hydrated and looking glowy to really make my complexion the best it can be..
Face masks are one part of my routine that I like to complete twice a week after cleansing, to really detoxify my skin, get rid of any congestion or build up and relax/soften my skin. 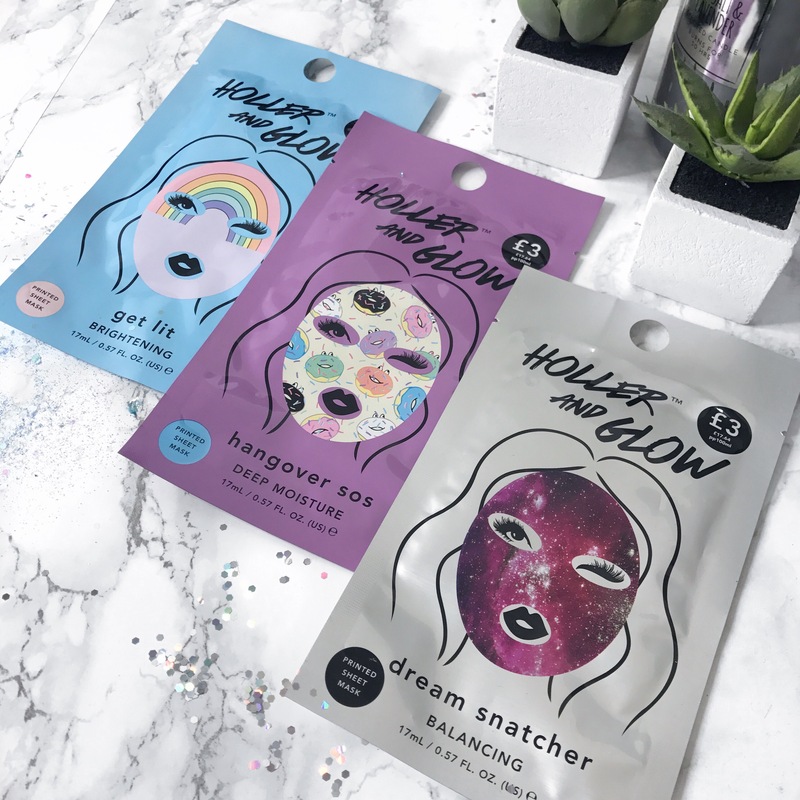 I have endless amounts of different branded bottles and tubs of long lasting face masks that I use on a regular basis, but when recently at my local Primark and I came across the brand ‘Holler And Glow’. 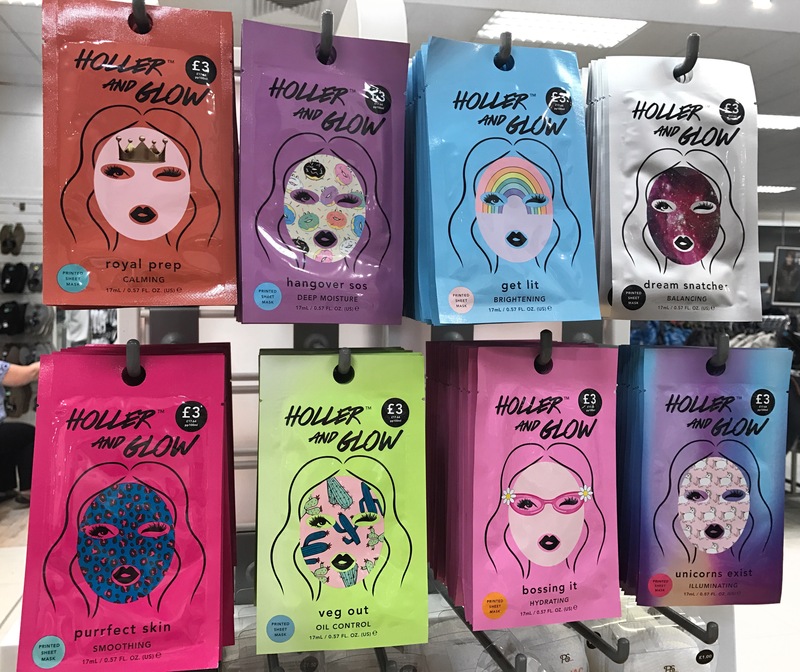 I had never heard of this brand before and was sceptical at first because I am always weary of using clothing brands beauty/makeup products, but for £3 (Yes, you read it right!) you can’t really go wrong! I decided to get three of these to try over the space of a few weeks and see how my skin reacts and how it changes if anything.. These masks are so creative and all have a different style to them, representing the mask it is. They add a little bit of fun to your beauty routine. On each of the masks there is a detailed description of how to apply with the main active ingredients that are unique to each mask. 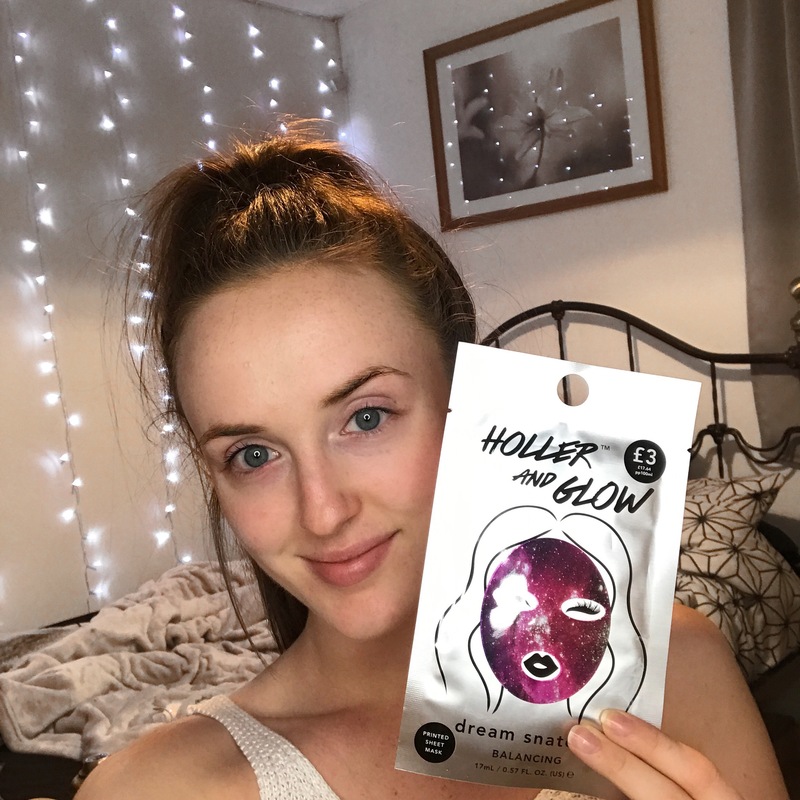 Before applying the mask, I made sure that I had cleansed my face using the Primark Micellar Cleansing Water with rose extract, to make sure my skin was free from any makeup and gently patted my face with a towel to remove any moisture so my skin was dry. 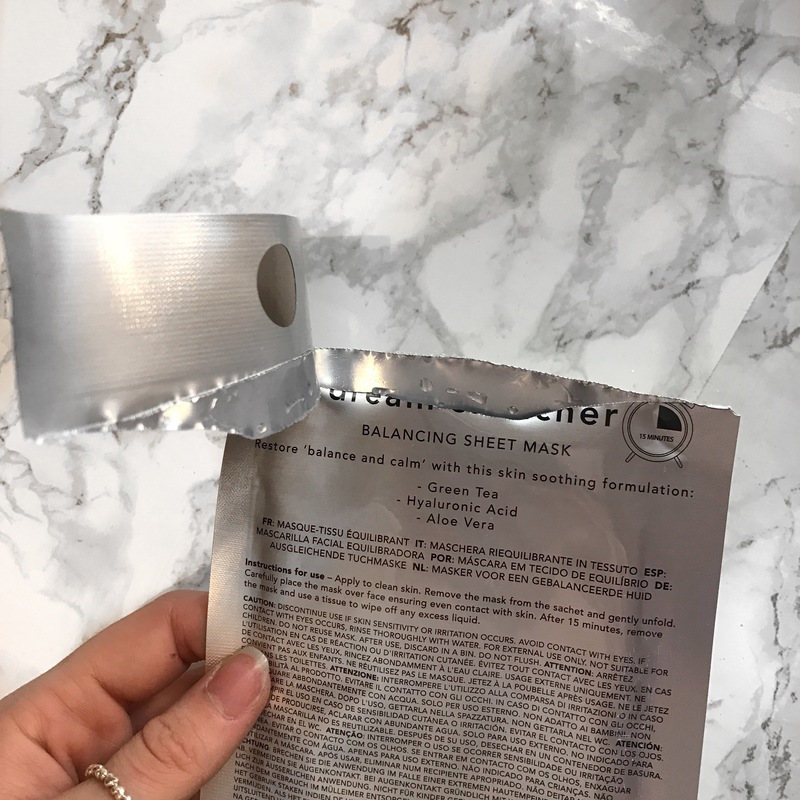 I then removed the mask from the packaging – I used the Dream Snatcher Balancing mask – mainly to try and balance any redness or impurities that I have had recently. 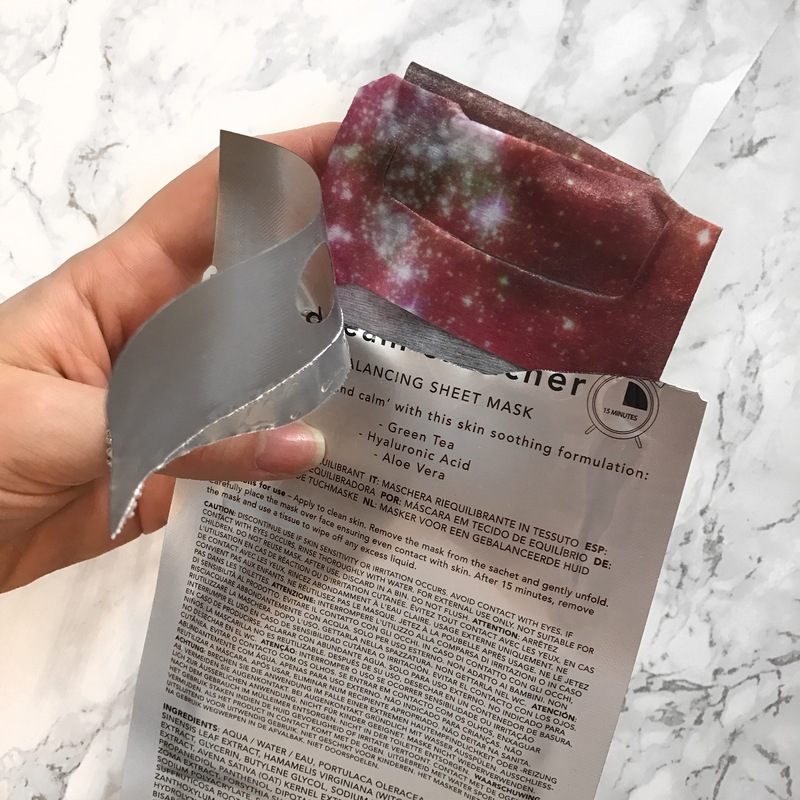 The mask itself has a really bright galaxy print on it which I love, and is saturated in the soothing formula of Green Tea, Hyaluronic Acid and Aloe Vera. GREEN TEA – This is literally loaded with antioxidants which can help fight and inflammation or bacteria. It contains one particular class of antioxidant known as catechins, which are amazing for their anti ageing properties and encourage healing of cells which help prevent fine lines and age spots. Other benefits include – eliminating blackheads and acne, reducing eye puffiness as well as being a gentle exfoliator at the same time! HYALURONIC ACID – This ingredient is one of my all time must haves in some part of my beauty routine. It has amazing properties for keeping your skin looking youthful and radiant. It is basically a molecule that can hold up to 1000 times its weight in water, so your skin can stay moisturised 24/7. It increases smoothness, reduces wrinkles and softens. Your skin will appear plumper and firmer due to being so hydrated, instead of having dehydrated, dull looking skin. ALOE VERA – Aloe Vera is a well known ingredient for healthy looking skin. It has properties to moisturise without leaving your skin feeling greasy like many face moisturisers do. Its very cooling and softens skin without clogging your pores! Aloe Vera contains vitamins C and E which can contribute to anti ageing whilst lightening blemishes to give a balanced complexion. 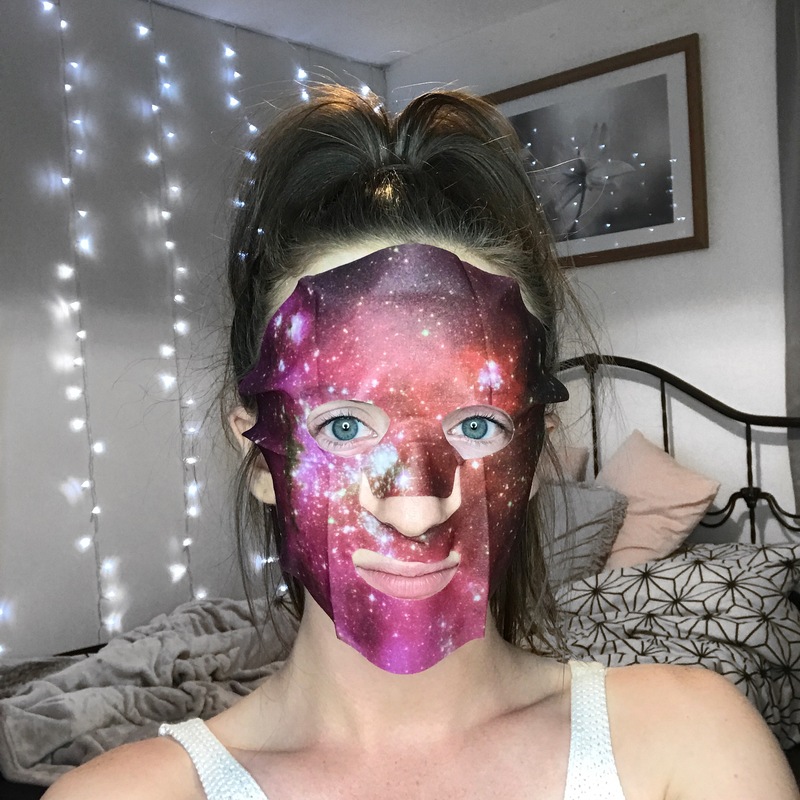 Once I had applied the mask to my face, ensuring that I had covered my face evenly and then left it for the allocated time on the packet (15 Minutes). 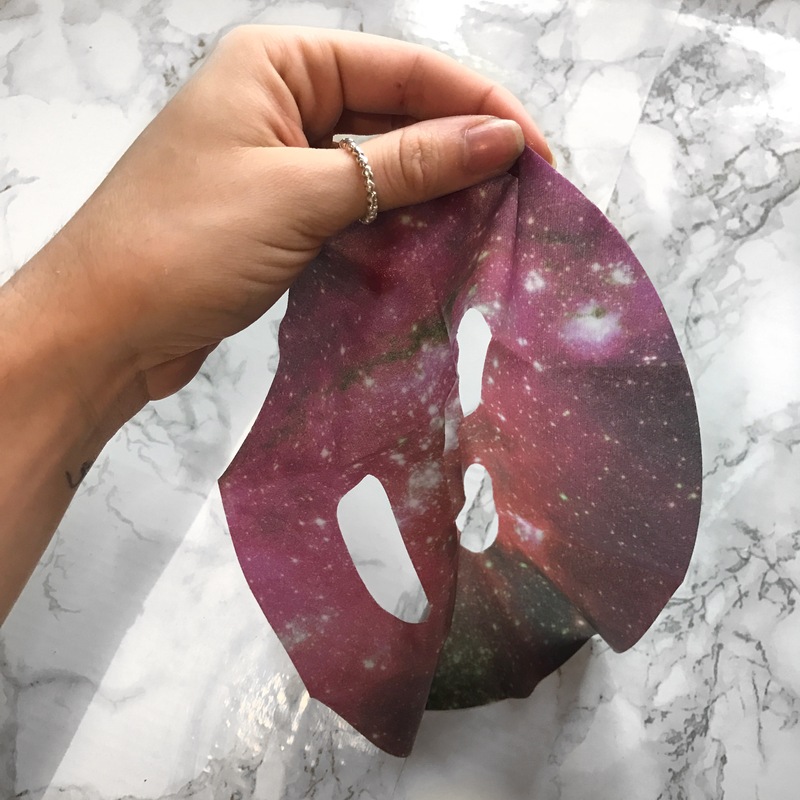 After this time I gently removed the mask and in circular motions I slowly massaged any of the remaining residue into my skin to ensure my skin is really moisturised and replenished. Once I have finished this routine, I spray my face with a hydrating moisture spray and let it soak in. My skin has felt so soft and smooth recently since using facemarks on a regular basis. 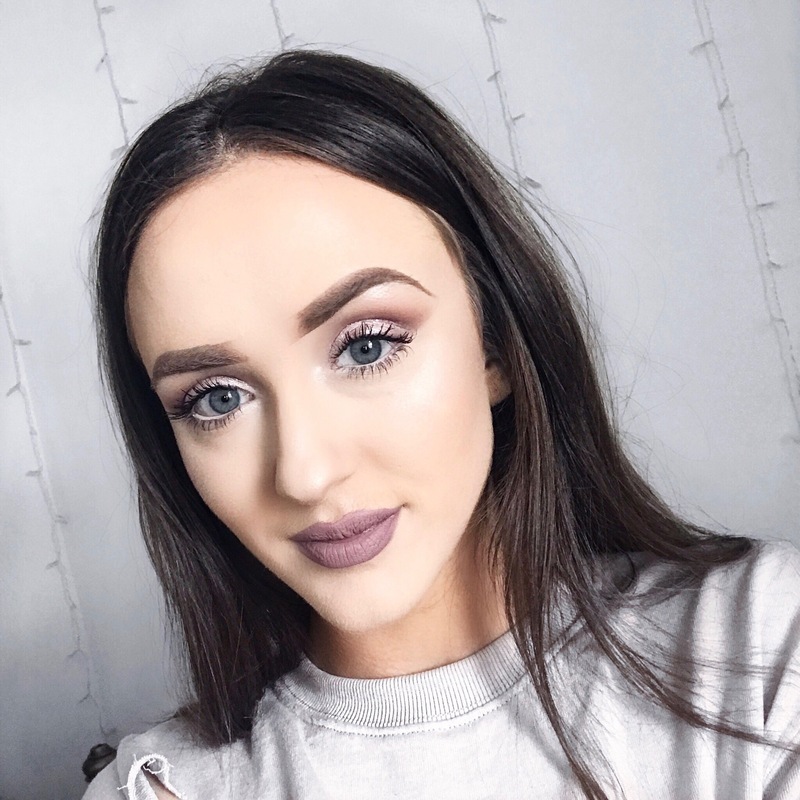 I have always had quite sensitive skin, due to having psoriasis from a young age so I don’t like to use products that are too harsh on my skin. Since using these my complexion has defiantly reduced in redness and I am so excited to try all of the masks in the complete range. They all look amazing and for £3 each you can’t go wrong! 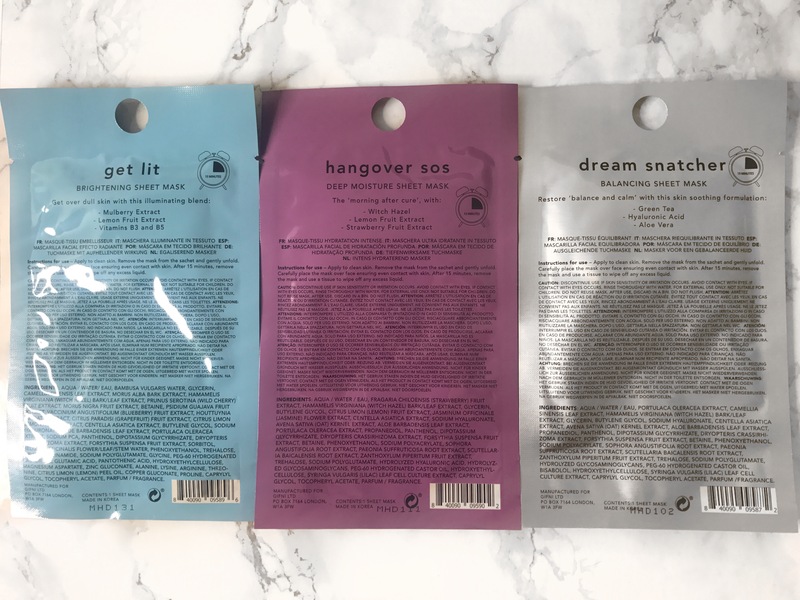 I highly recommend these to anyone who wants to try/add face masks to their skin care routine or for anyone who is looking for a softer, smoother, more hydrated complexion!